By Hongkiat Lim in Gadgets. Updated on March 30, 2019 . The Samsung Galaxy S-series has evolved and matured over the past decade giving us the most recently launched Galaxy S10 that is considered the company’s best smartphone by far. With improvements in the design and upgrades in the software, thousands of customers have their eyes on this new model. But do you know what would be cooler than buying the new Galaxy S10? Buying it with a useful accessory that can make your smartphone even smarter. In this post, I have listed some of the best accessories you can buy for your new smartphone. Let’s take a look. 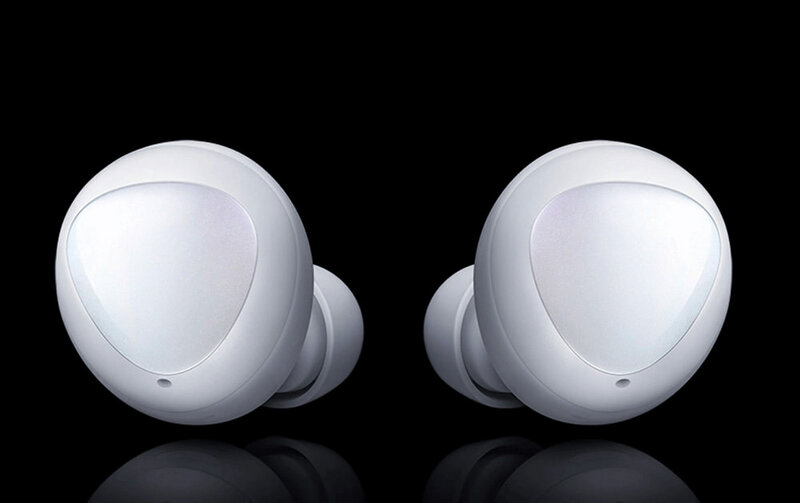 Galaxy Buds are the true wireless earbuds by Samsung that work with Galaxy S10e, S10, or S10+. These little accessories offer really impressive design and a whole gamut of features. What I like the most about these earbuds is the compact case that doubles as a wireless charger and gives you more than 1.7 hours of play time with just 15 minutes of recharge. You can enjoy your favorite music in a balanced and natural sound and the Ambient Aware feature allows you to control how much surrounding noise you want to let in. 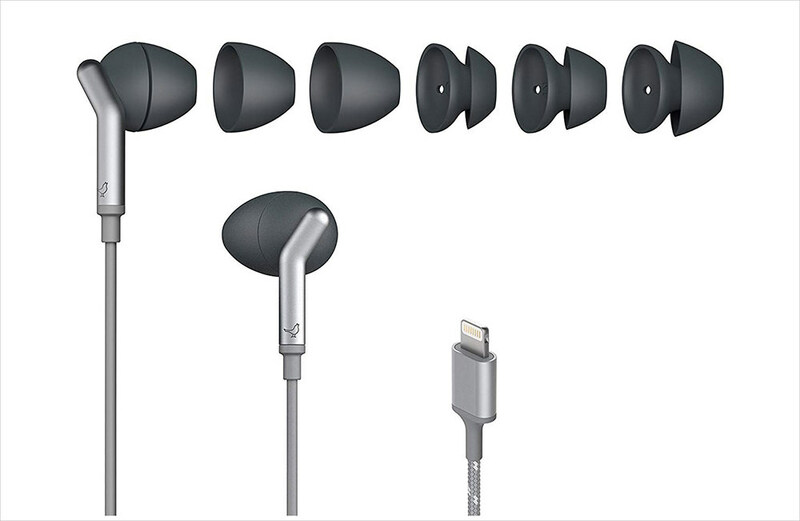 Galaxy earbuds come with splash-resistant technology so you can wear them during your swimming or sports activities. Not only that but you can also easily switch tracks, take a call or turn up the volume with just a touch. Pretty smart eh? In the league of wearable fitness gadgets, Galaxy Watch Active stands among the best. It is a lightweight, yet durable watch with waterproof and dust-proof design, interchangeable bands, and a durable glass coating. Cherry on the top, you can charge it wirelessly through its charging pad. For sports junkies and fitness freaks, this accessory is a boon. It comes with a whole suite of health apps that monitor your vitals and can track up to six exercises. What’s even cooler is that it can easily pair with the Galaxy Buds so you can run your favorite playlist and turn your otherwise boring sports activity into much fun. Are you sick of swimming in a sea of wires and cords? Then simply go wireless. 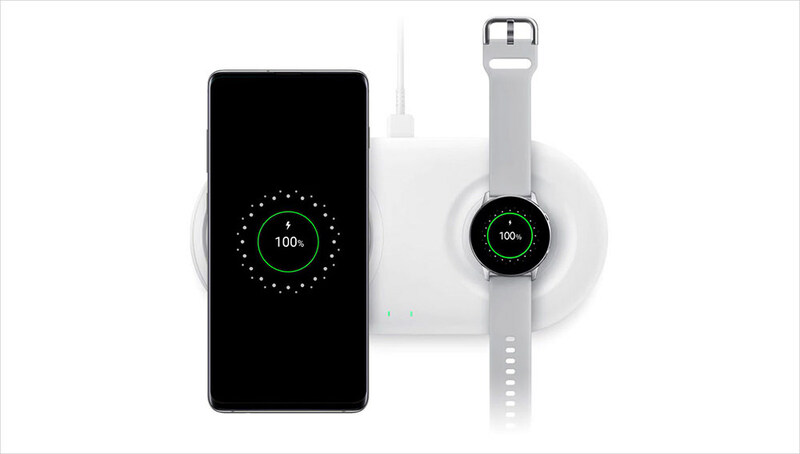 This Wireless Charger Duo Pad allows you to charge your Samsung Galaxy S10e, S10, or S10+ and your Galaxy Watch Active simultaneously. With Fast Wireless Charging 2.0 and a compact design, this wireless charging pad is a really pragmatic accessory for your Samsung devices. A portable charger pack by Samsung that not just charges your device through a cord but you can use it as a wireless charger as well. It offers a 10000mAh battery pack and fast charging feature. The wireless battery pack is available in two colors and is compatible with S10, S10e, and S10+. Though a portable charger is already quite useful but the wireless charging features actually ads the element of freedom in it. 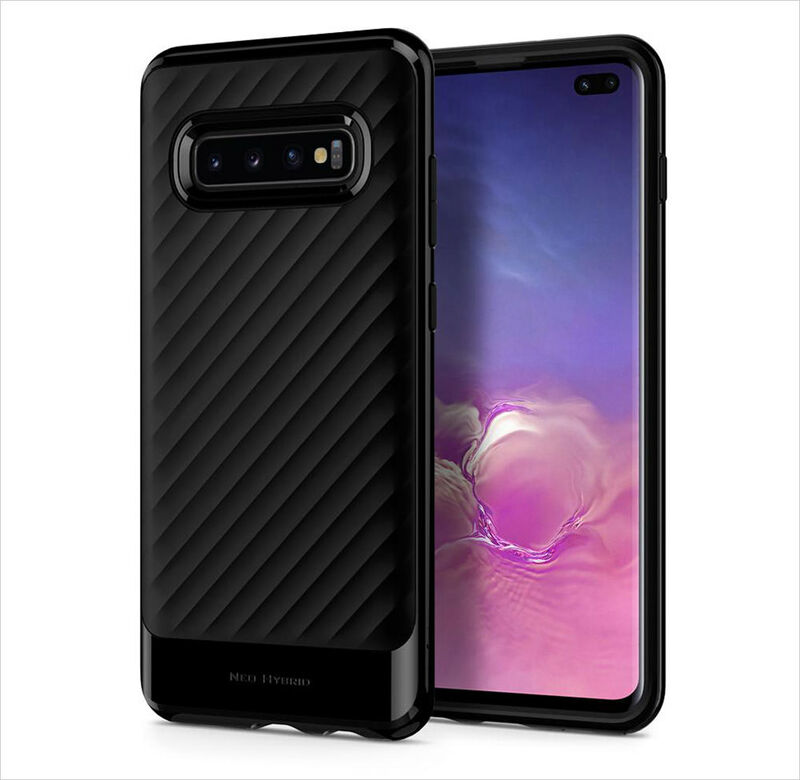 From the global manufacturers of premium mobile accessories, Spigen offers a redesigned Neo Hybrid case for Samsung Galaxy S10 that’s compatible with wireless charging. The new wavy design offers more grip and shock absorption capability without making your phone feel too bulky for your hand or your pocket. You can choose from an array of colors including a lovely Arctic Silver. If you’re a frequent user of your Samsung Galaxy phone, you would know the pain of waiting for your phone to charge while you’re in the middle of an important task. Well, to solve this problem Samsung offers this little helpful accessory – Fast Charging Adapter that charges your phone in a jiffy. 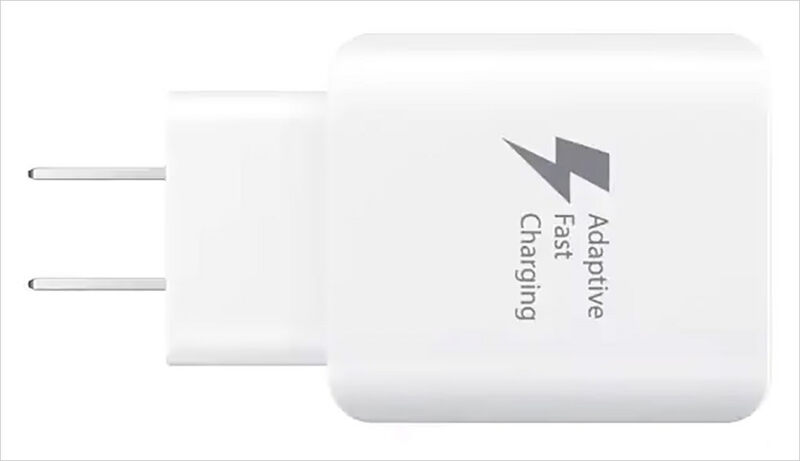 This USB-C Fast Charging Adapter is durable, inexpensive, lightweight, and ships with a USB-C charging cable – everything that a quality charging brick should have. It’s always wise to have an extra charger at your disposal anyway. 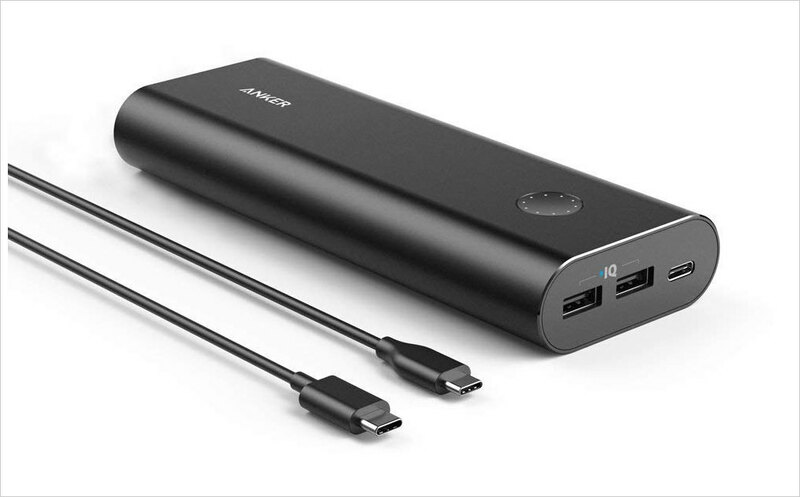 Anker PowerCore 20100+ is a powerful portable charger that is compatible with Samsung Galaxy S10 and is one of the first portable chargers to utilize USB-C input and output. You can charge your Galaxy phone multiple times and that too with a fast charging capability. The best thing about this power bank is that it can fully charge multiple devices – 1 laptop, 1 iOS or Android phone, and 1 iOS or Android tablet – all at the same time. Its compact size, aluminum-alloy case, and LED Power Wheel make it portable and user-friendly. 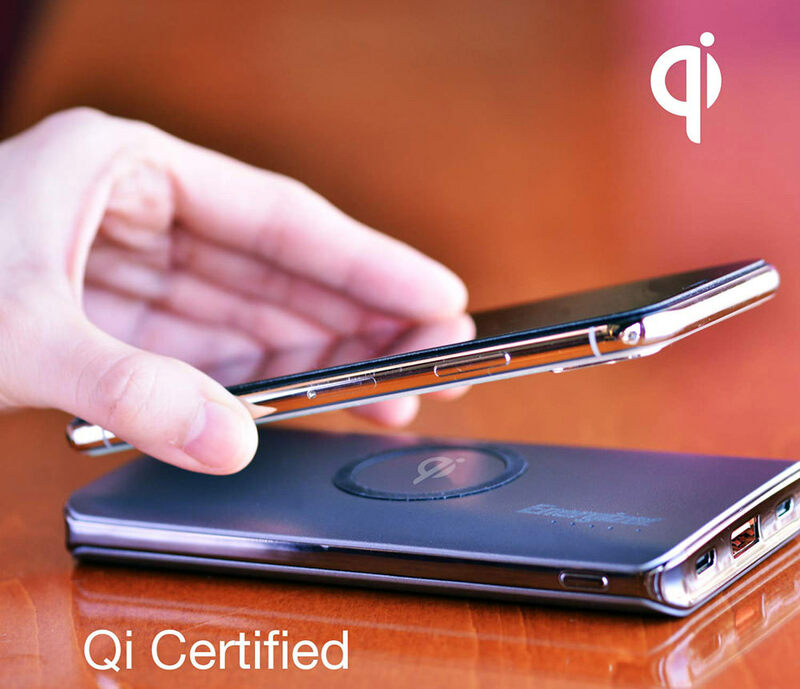 When usability, convenience, and style meet, they make Samsung Qi-Certified Convertible Wireless Charger. The device has a stunning design and can be used as a charging pad or you can prop it up into a stand and continue to use your phone while it charges. 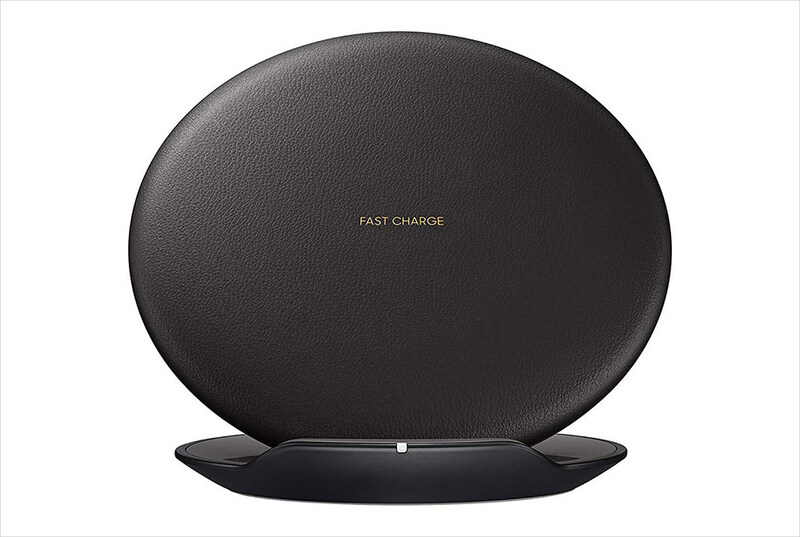 Samsung Qi-Certified Convertible Wireless Charger is compatible with all Qi-enabled mobile devices and offers fast charging through the latest technology. Equipped with multiple charging coils, you can charge your phone in vertical or horizontal mode. 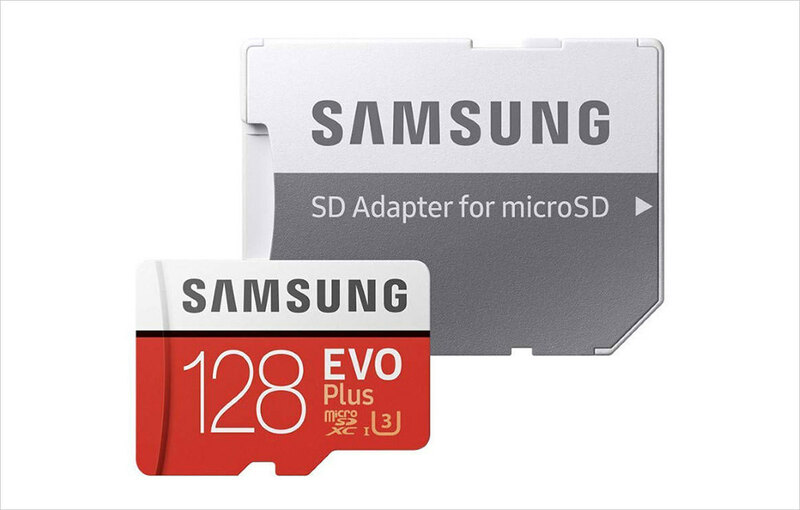 Even though Samsung Galaxy phones come with bulky storage space, yet if your storage needs are more than what’s available, you can always opt for Samsung 128GB EVO Plus microSD card. It has an ultra-fast read and write speed for storing and transferring multi-media. The microSD card has high performance and great compatibility with a wide range of devices for both SD and micro SD. And the best part – it includes a full-sized SD Adapter that fits a myriad of devices. Samsung Galaxy S10 comes with a great set of headphones but there are still some features that it misses out on. And this is where Libratone In-Ear Noise Canceling Headphones come in. You can enjoy premium sound quality with different sound profile features for a superb music experience. These wonderful headphones offer adjustable noise cancellation (with four levels of noise control), four-button remote, and changeable ear-tips. Moreover, built-in microphone helps quiet the outside world during phone calls. 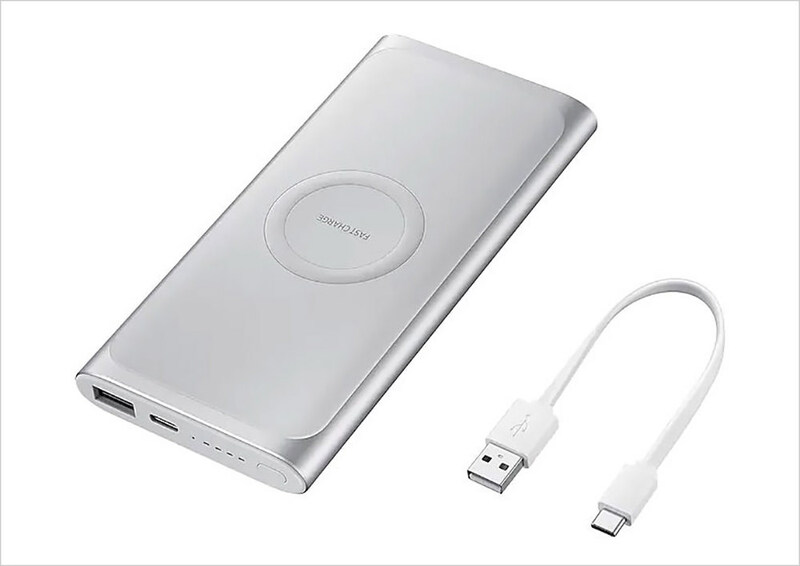 Another portable charging bank in the list, the Energizer Ultimate 1000 Series 10W Wireless Charging Power Bank offers reliable and fast charging for your Samsung Galaxy S10 phone when it’s out of juice. Samsung Galaxy S10 comes with an array of apps and features for driving and traveling but to hold your phone in front of you in your car you do need a good mount. For this iOtte offers a range of smartphone car mounts that double as wireless charger and are compatible with all models of Samsung S10. Some of the most interesting features of these mounts include a telescopic arm that can rotate to 225 degrees, one-touch lock and relieve feature and amazing stability on the road. Not just that, the wireless charger mount powers up your phone faster than a normal one. How amazing is that! Galaxy S10 sure is a large phone and a person like me with small hands it gets difficult to handle it at times. One nice solution are the PopSocket phone grips that come with hundreds of cute designs. These grips allow you to comfortably take photos, can function as a stand to help you watch videos and you can easily text with only one hand. Also, they can stick to most devices and cases.